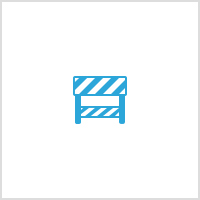 Home / Prostatitis / What is the best treatment for chronic prostatitis? Chronic prostatitis is also called chronic pelvic pain syndrome (CPPS). It is a kind of non-bacterial prostatitis. Most of the men with prostatitis have chronic prostatitis. Some symptoms are the same as bacterial prostatitis. The difference lies in that the test result does not show the existence of bacteria in chronic prostatitis. It is very hard for doctors to know what non-bacterial causes are; therefore it not easy to treat men with chronic prostatitis. Possible causes like pelvic muscle problem, pelvic tension disorder, dietary and sexual habits, immune disorder and environment factors will be considered. 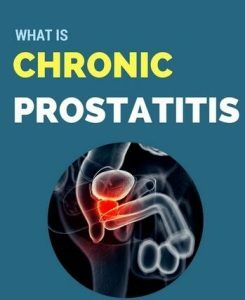 Currently, there are various options of treatment for chronic prostatitis including antibiotics, pain medication, surgery, warm sitz bath, transurethral microwave thermotherapy, prostate massage and herbal medicines. For patients, which one is the best treatment for chronic prostatitis? An antibiotic trial is often made by doctors to see if patients give any response to antibiotics because there may be some hidden prostatic infections. The antibiotic treatment is controversial. Doctors prescribe antibiotics because there is a suspicion of occult infection. Some patients may respond clinically but some may not. The abuse of antibiotics is harmful to health. Long-time use of antibiotics may lead to serious side effects and drug resistances. Pain medicines cannot get rid of prostatitis completely but temporarily relieve the patient’s symptoms like pain and discomfort. Surgery is only applicable for very severe case of chronic prostatitis. Other treatment options like warm sitz bath, transurethral microwave thermotherapy and prostate massage are supportive therapies for chronic prostatitis. Most of them can only relieve pain caused by chronic prostatitis. Herbal medicines are made of natural herbs which do no harm to human body. The theory of herbal therapy for chronic prostatitis is to promote Qi and blood circulation, and clear dampness and heat in the prostate. 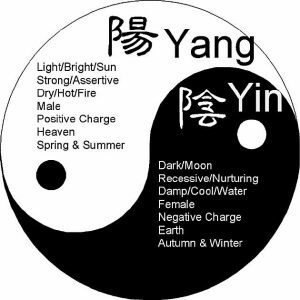 According to the ancient Chinese medicine theory, the root cause of all the diseases is that the circulation of blood and Qi and meridians inside the body are blocked. Herbal medicines can adjust the overall condition of the body to unblock obstructions of Jueyin Liver Channel of Foot and Shaoyin Kidney Chanel of Foot which are two meridian channels running through prostate so as to get rid of chronic prostatitis completely. For example, the herbal medicine, Nanke Pill is widely adopted in China with good effects on treating chronic prostatitis. After taking this medicine only one month, the symptoms can be greatly decreased. Although there are various therapies for chronic prostatitis, the main two are western medication and traditional Chinese herbal therapy. Compared with the western medications, the herbal therapy helps cure chronic prostatitis from the root without any side effects. It not only help to improve the condition of chronic prostatitis but also bring benefits to the health of prostate. We can see the herbal medicine is the best treatment for chronic prostatitis.